After eating some fabulous falafel and other homemade goodies this weekend, I’ve been inspired to discover some more exotic recipes. 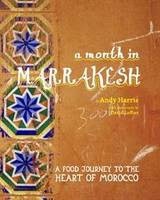 Part cookbook and part travelogue, A Month in Marrakesh is definitely now on my shopping list. Andy Harris, editor of Jamie Oliver’s Jamie Magazine, has been drawn to the magic and culture of Marrakesh for the last ten years and on his latest trip, he was joined by renowned photographer David Loftus. After spending a month scouring the souks and mingling with the locals, they have produced a wealth of exotic tasting and easy to follow recipes using fresh ingredients. Now you can impress your guests with dishes including Roast Lamb with Orange and Honey Syrup, Spicy Squid with Harissa Yoghurt and Orange Flower Doughnuts. 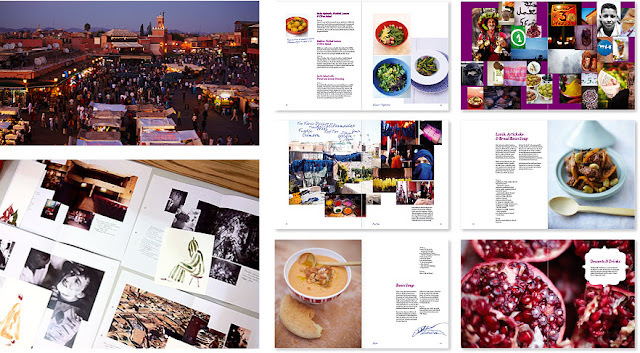 The book is bursting with stunning photography, both of recipes and colourful locations, taking you right to the heart of the spice filled souks and food havens of the vibrant Djemaa el Fna. A must buy book, even if it’s just for the pictures!